Two lines of blue text...a fade to black, then a blast of trumpets...a stylized title card swoops into view, comprised of two words that seem like they were always meant to be together. This is how all Star Wars journeys begin. Where it goes from there, however, depends on the viewer. Episode IV: A New Hope paints a broad canvas of space fantasy, specific enough in its details - weird aliens, bickering robots, utility pouches for days - and yet vague enough - a terrifying black-masked enforcer, an unseen force that "surrounds us" - full of both the epic bombast and flimsy, obvious kitsch that make it the perfect testing ground for budding imaginations. For our one-year anniversary show, we go back to where Star Wars began for the both of us, and consider its place now in a cultural universe that it conquered and remade in its own image. 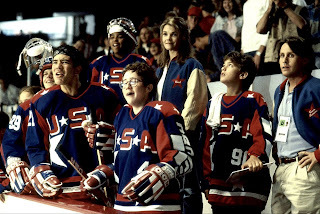 Disney's Mighty Ducks franchise re-invented the moribund "ragtag youth sports" genre for the 1990s, sanding off the edges of the protean and profane Bad News Bears and kid-ifying the wild wooliness of adult entertainments like Slap Shot and Bull Durham. But of the many lessons children learned from the most lovable peewee hockey team in Minnesota - believing in yourself, working hard, and being true to who you are - none of them could boast the incredible stakes introduced in the second film, which doused the series' inspirational fire with a can of jingoistic kerosene. 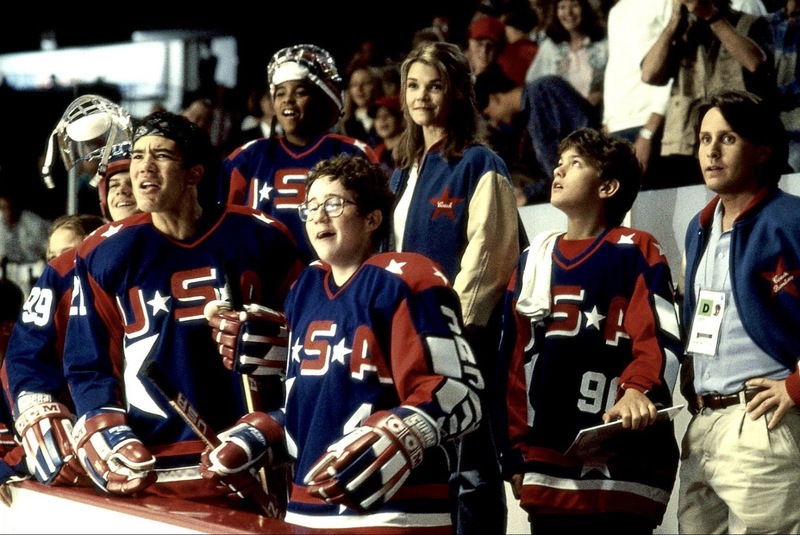 Just in time for the 4th of July, special guest Lindsay Marie Mead joins us to look back at how D2: The Mighty Ducks and Team USA imprinted our minds with formative images of national pride, ethnic and regional stereotypes, and amazing female goaltenders who only get to play for 30 seconds of an entire tournament.